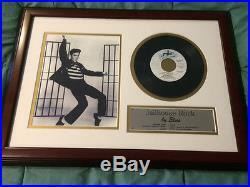 A framed picture of Elvis dancing in Jailhouse Rock MGM movie and 45 record of the song "Jailhouse Rock", with plaque. 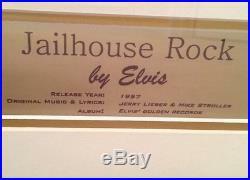 Frame measures 16.5" x 22" and the picture of Elvis measures 8" x 10". 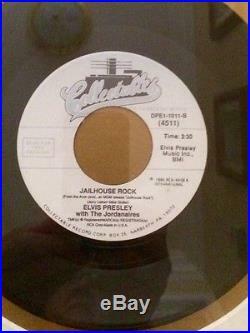 The item "ELVIS PRESLEY- framed picture and 45 record" is in sale since Sunday, February 21, 2016. 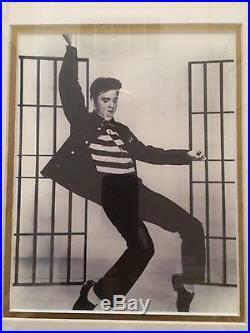 This item is in the category "Entertainment Memorabilia\Music Memorabilia\Rock & Pop\Artists P\Presley, Elvis\Other Elvis Presley Mem". 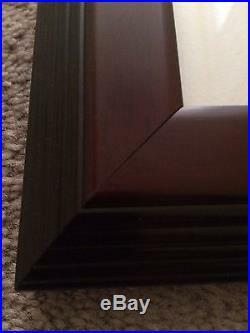 The seller is "dgpdon6" and is located in Mount Sinai, New York. 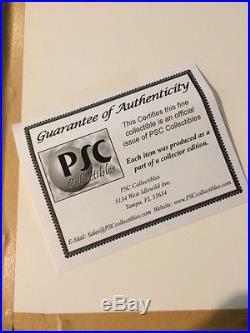 This item can be shipped to United States, Canada, Thailand, Mexico, Malaysia, Brazil, Chile, Colombia, Costa rica, Dominican republic, Panama, Trinidad and tobago, Guatemala, El salvador, Honduras, Jamaica, Denmark, Romania, Slovakia, Bulgaria, Czech republic, Finland, Hungary, Latvia, Lithuania, Estonia, Greece, Slovenia, France, Germany, Austria, Croatia, United Kingdom, Malta, Portugal, Cyprus, China, Sweden, Belgium, Ireland, Netherlands, Poland, Spain, Italy, Israel, New Zealand, Switzerland, Norway, Saudi arabia, Ukraine, United arab emirates, Qatar, Kuwait, Bahrain.